Vote for Mike in the local elections! 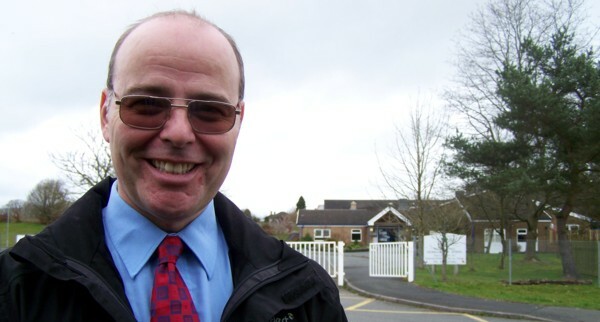 Vox Political’s Mike Sivier is standing as a Labour Party candidate for Powys County Council’s Llanbadarn Fawr ward – and there’s more to him than a nice smile [Image: Mike Sivier]. The people of Llanbadarn Fawr ward, in Powys, will have the chance to vote for This Writer as their representative in the forthcoming county council elections. That’s right – I have put myself forward as a Labour Party candidate in the election on May 4. As readers of my blog Vox Political will know, I provide a strong voice for what I think is right. Powys – and the people of Llanbadarn Fawr – need a strong voice to represent the real needs of the community. These are times of hard choices, with funding cuts from the Conservative Government in Westminster forcing difficult decisions on councillors. Protect county council functions including waste and recycling services. If you’re in Llanbadarn Fawr, in Powys, please consider voting for me. If you know somebody who lives there, please share this article, and the video, with them. Good luck Mike. I sincerely hope you are elected. Good luck Mike I hope you get lots of support and win…! If I lived in Powys you would be my choice! Good luck Mike. It’s good to see someone standing as a councillor who actually says what he wants to do locally. Up here we are being bombarded by Tory (the party that is saying it wants more local power) leaflets. They are all identical, “vote for us to stop another referendum”, with no mention of any local issues whatsoever. I just hope, when you’re elected, you still have a bit of time left for this site! I might have to cut the number of posts, but hopefully I’ll be able to keep it going. Good to hear you are putting yourself forward as a candidate.I hope you get elected to represent the people of your area. All the best Mike. hope you win. I wish you all the best Mike and the good luck will be ours providing you are elected as I feel very confident you will be. If I lived in your area I’d vote for you. Good luck. good for you all the best. If I were able to do so I would be voting for you Mike. Good luck, Mike – and well done for putting yourself forward. Good luck. You’ll be brilliant! I know the place well but unfortunately I’m in Llangollen but I will be voting for our Labour candidate here. Good luck Mike and I hope you get in. We need all the Labour MPs we can get. I have tweeted this article hoping to reach a few of your potential voters Mike. I couldn’t think of a better candidate but sadly can’t vote for you as I live elsewhere. All the very best to you and I hope your constituents see the Mike we have appreciated through your blog. You have core real Labour values, and a steely determination to see wrongs righted.